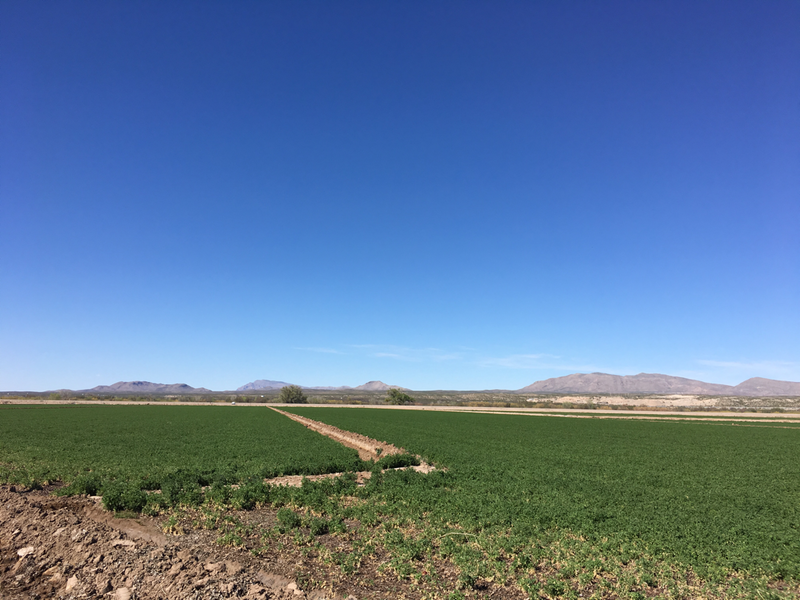 Its all about the chiles! 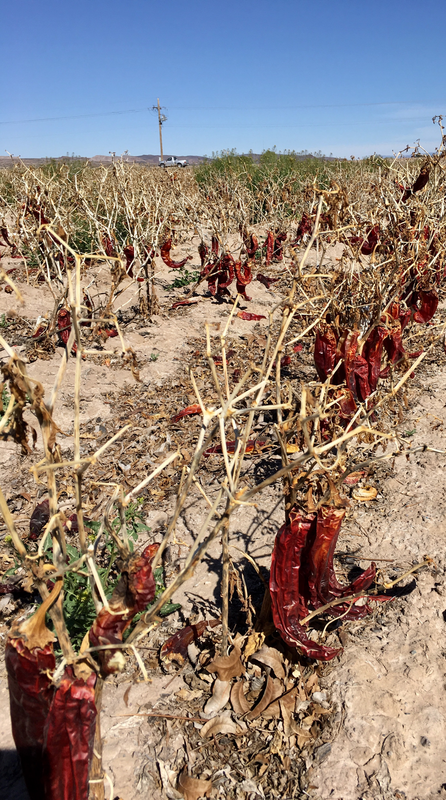 We discovered Hatch chiles when we first visited New Mexico a couple of years ago. 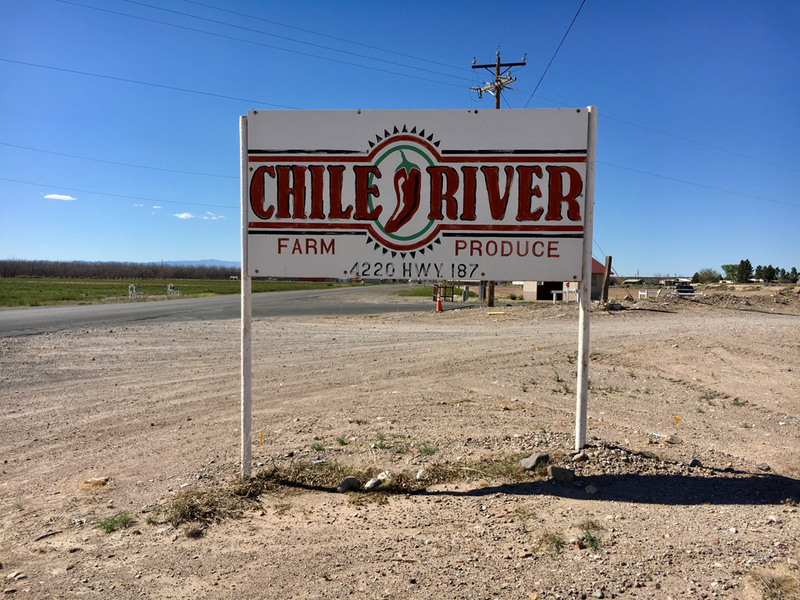 This farming community boasts that it grows the best chiles in the USA- while that may be debatable, they certainly have an abundance of them and a harvest festival to boot. 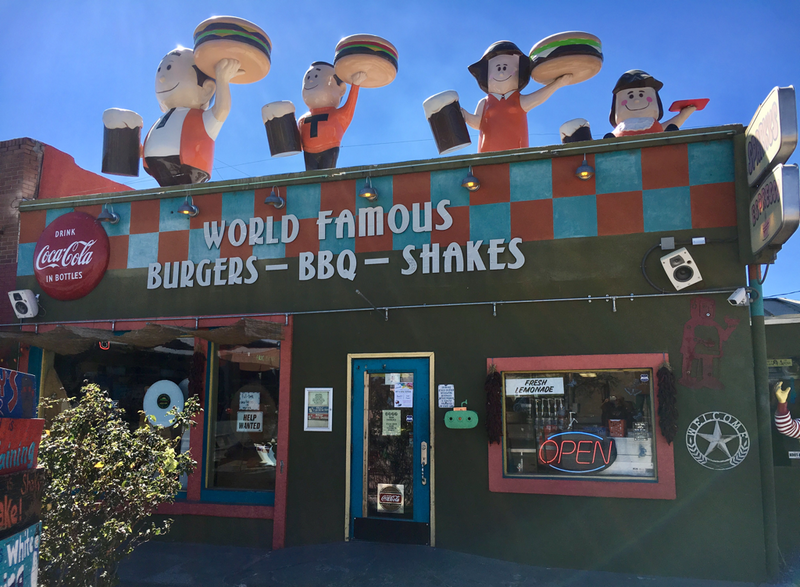 Sparky's, where they serve a killer green chile cheeseburger. 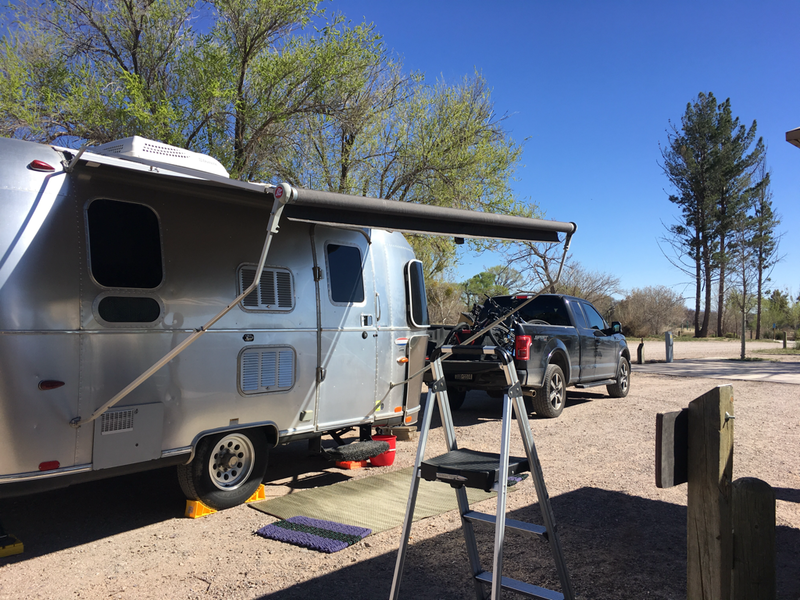 We were looking for a short stop between Davis Mtns and Silver City and the Percha Dam State Park was the perfect location. 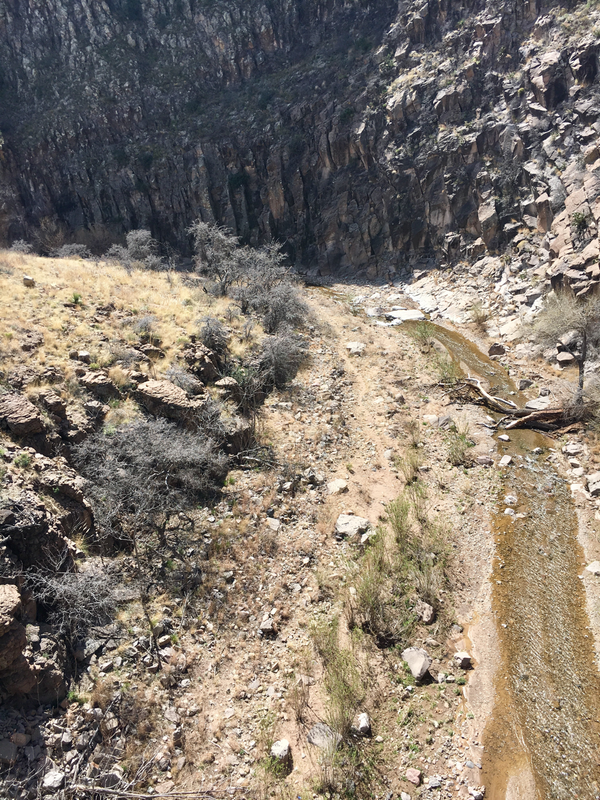 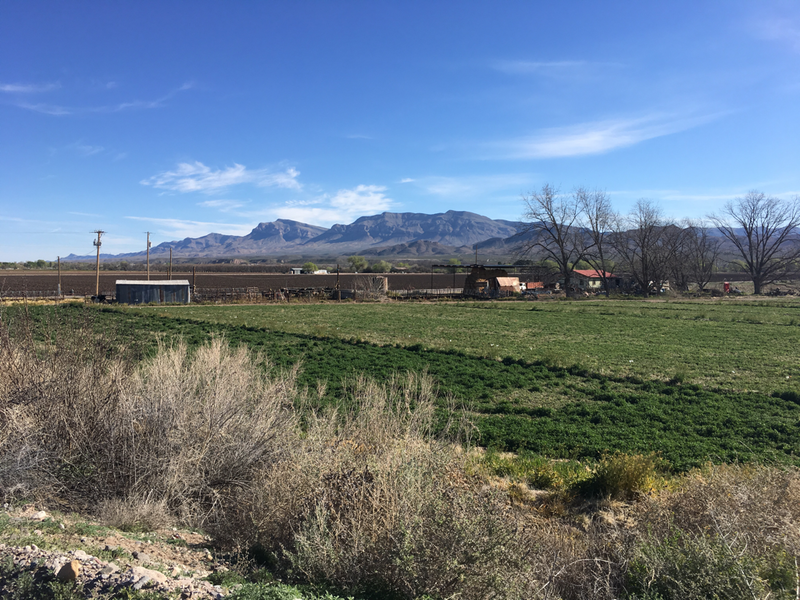 It is right outside Hatch, nestled between the Rio Grande river and the chile fields of Dona Ana county. 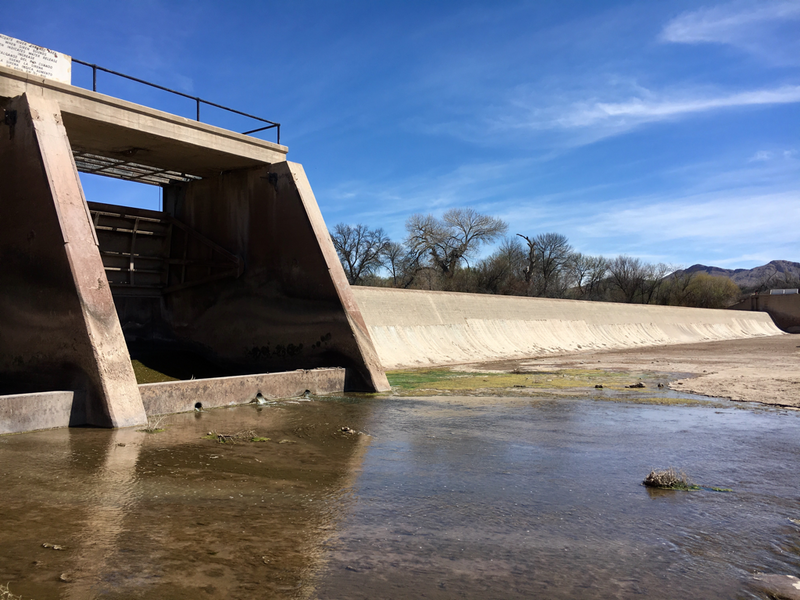 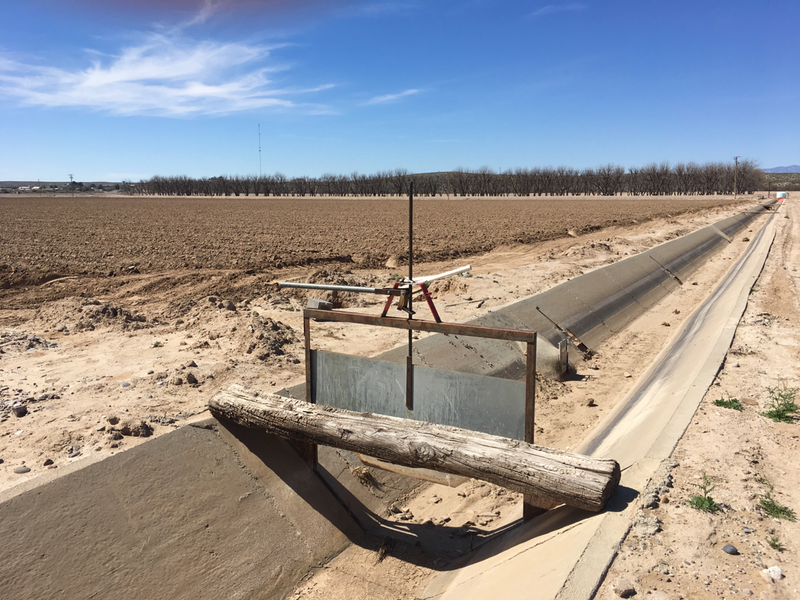 This dam diverts water to the irrigation ditches that surround the fields. 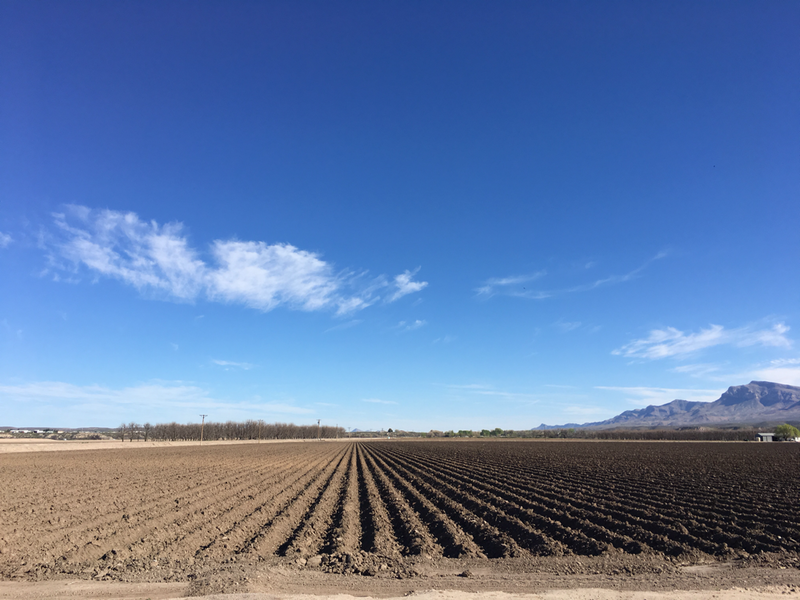 Since this was early spring, farmers were busy preparing for planting. 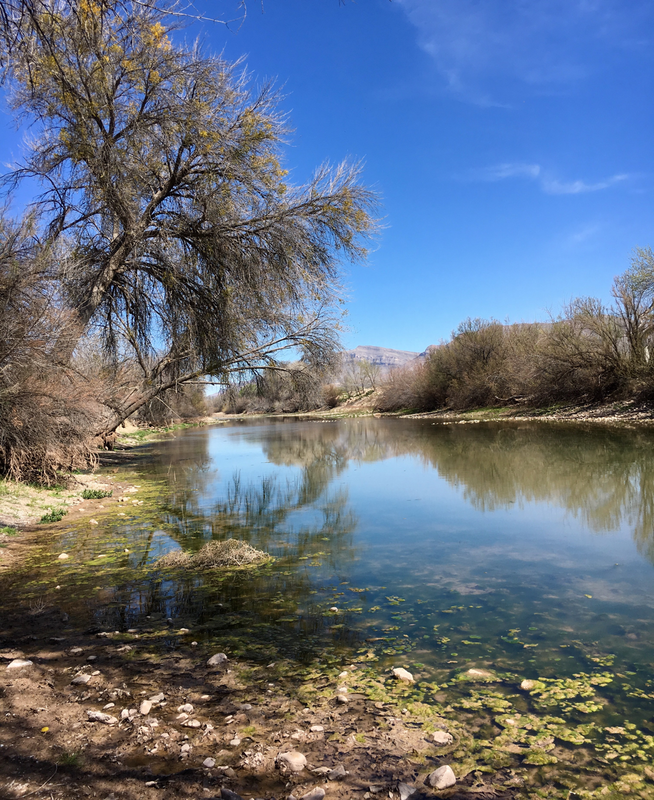 Turns out they grow more than peppers on this stretch of river. 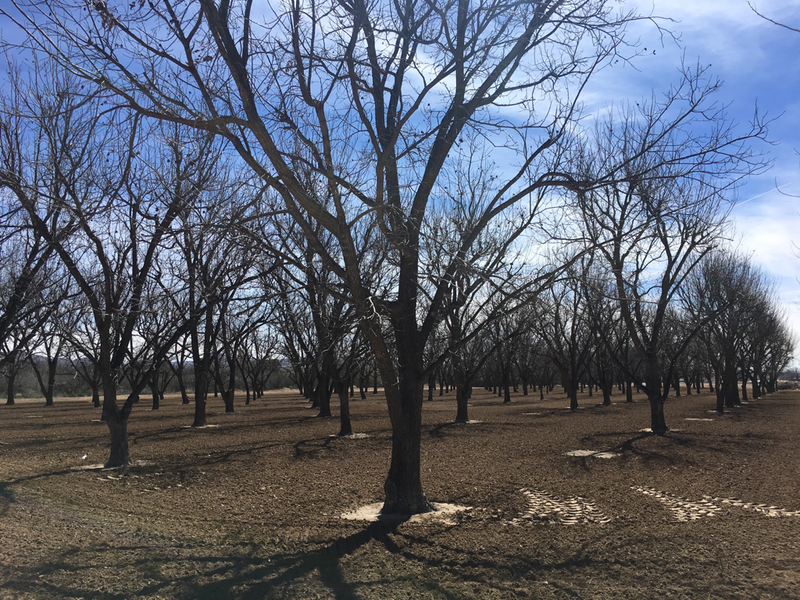 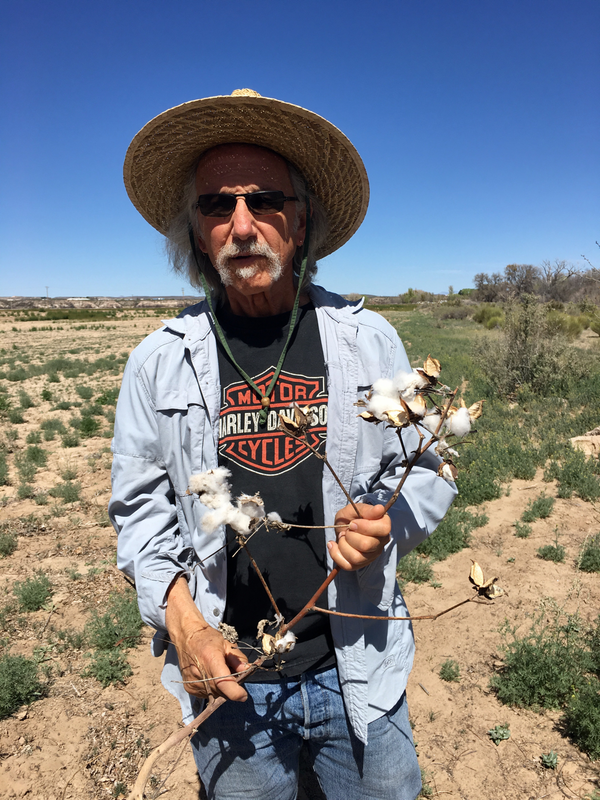 We saw cotton, onions, hay and nut trees. 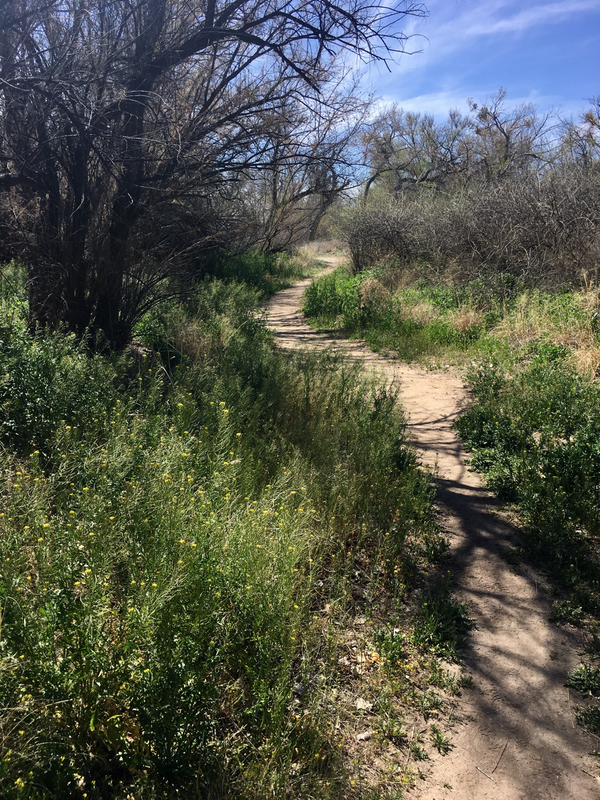 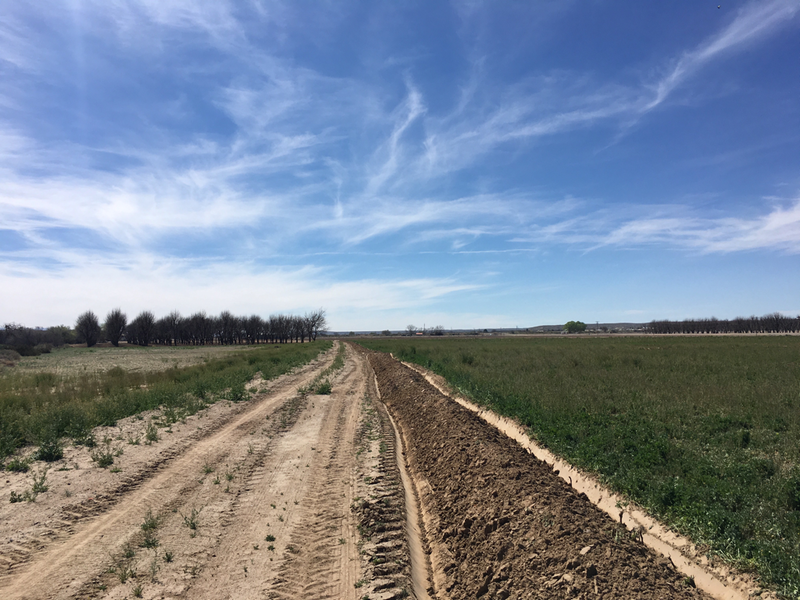 There were several back roads that were perfect for bike riding and a nice hiking trail through the bosque along the river. 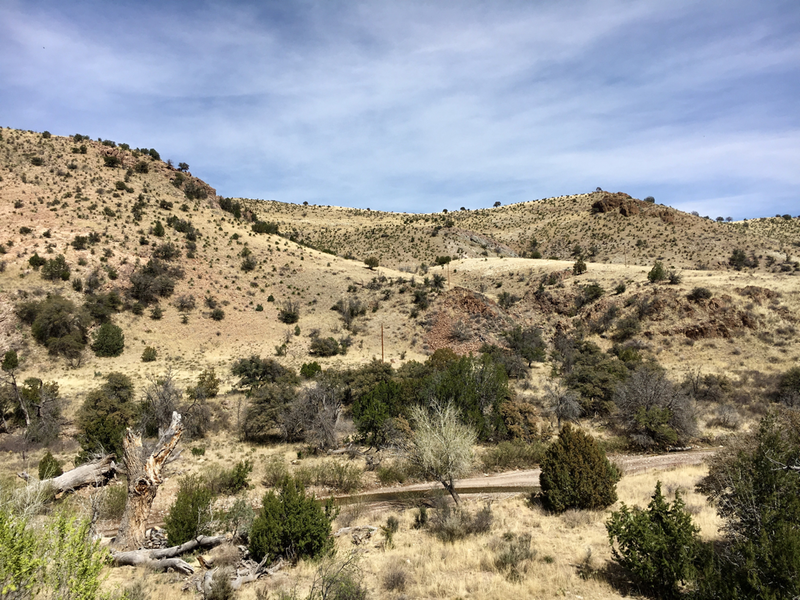 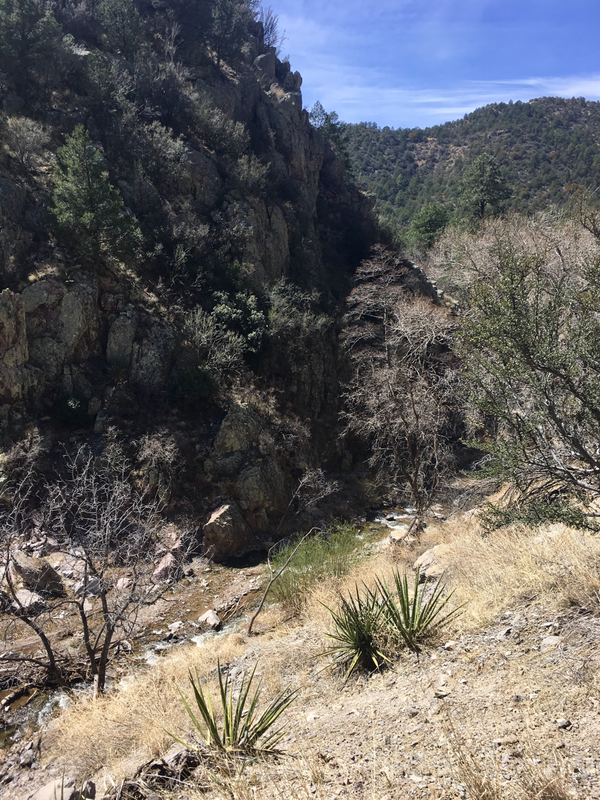 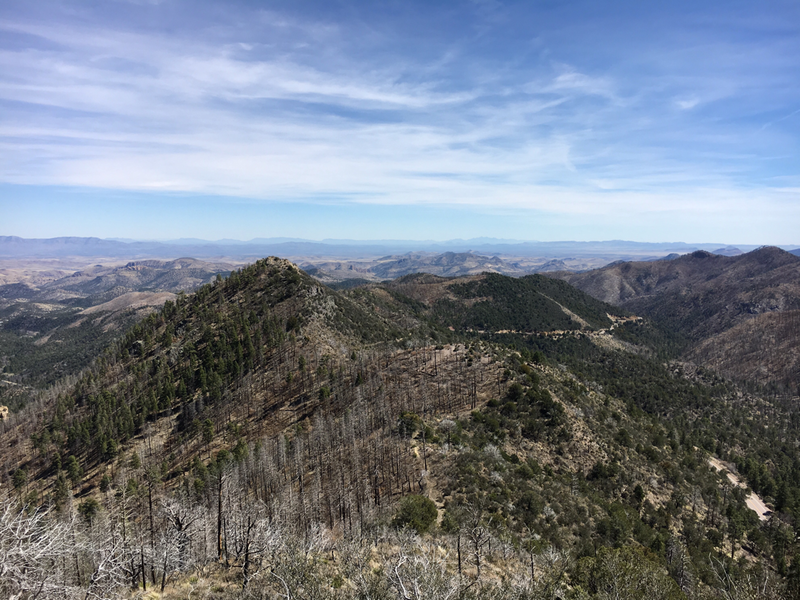 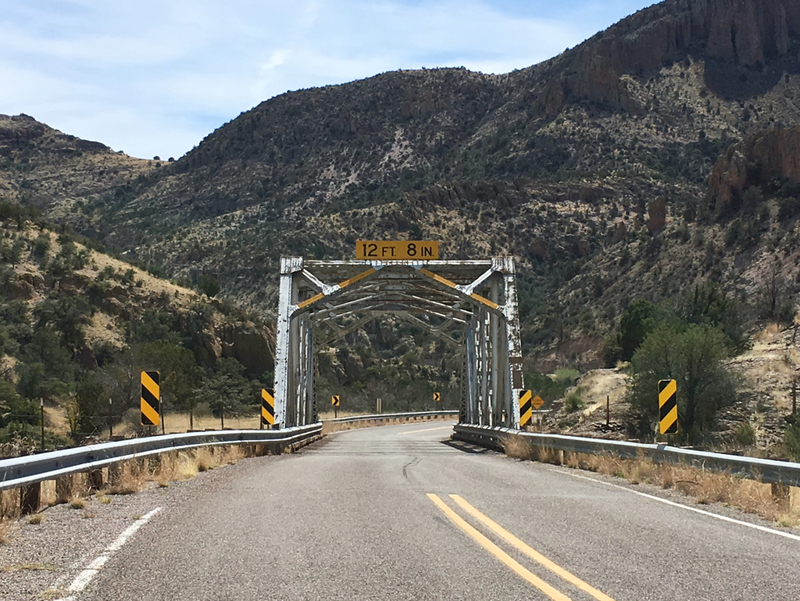 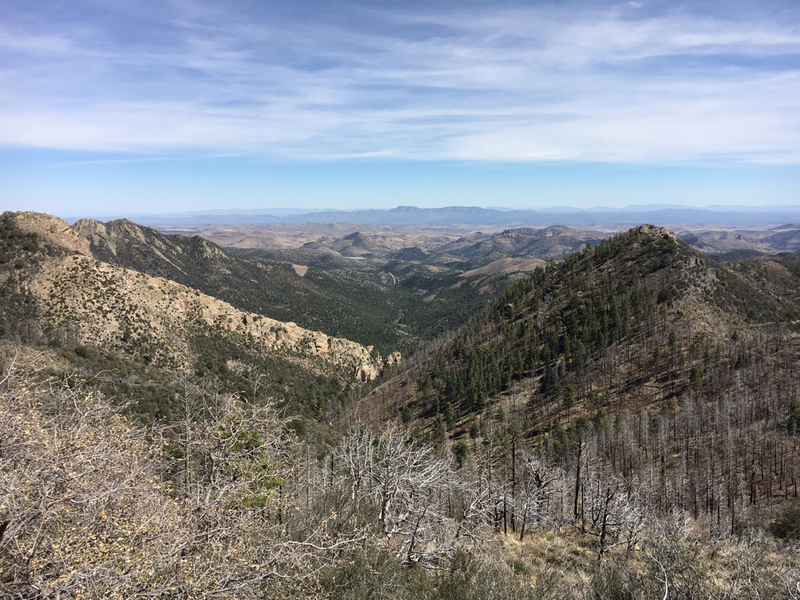 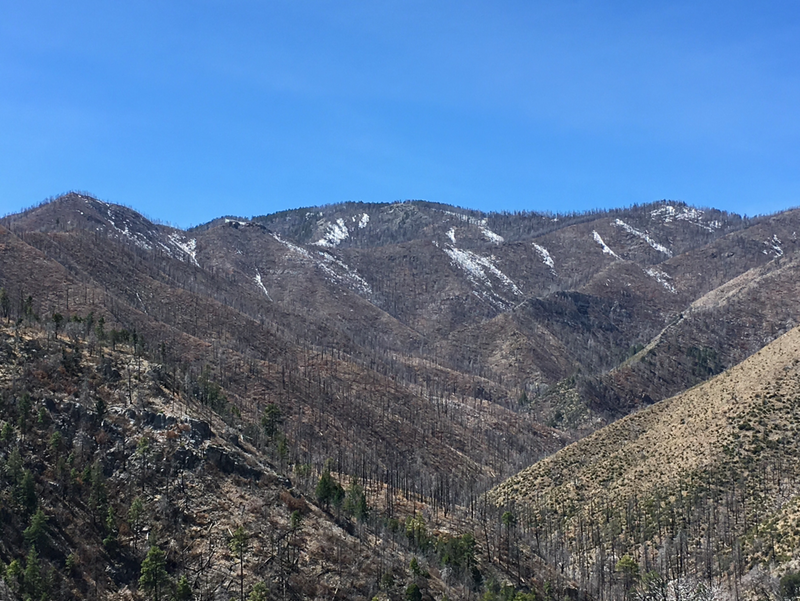 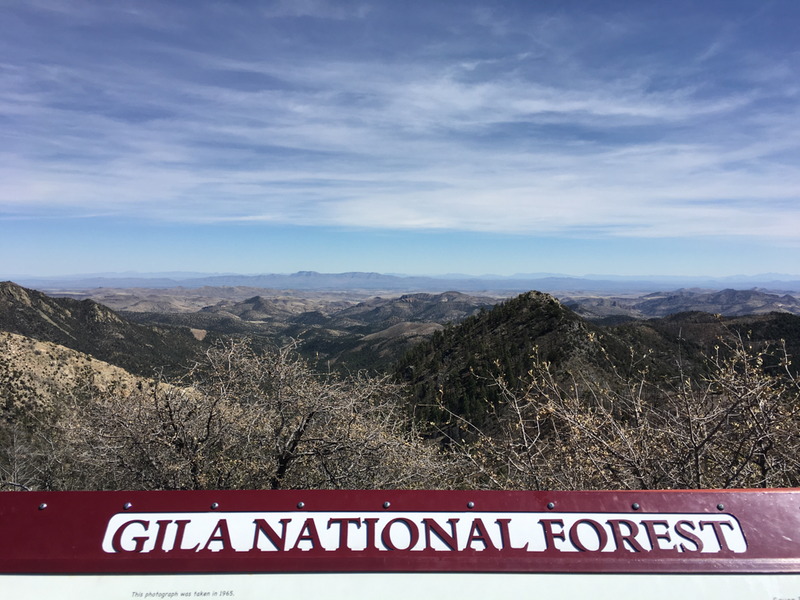 One day we took a drive on Route 152 up into the eastern portion of the Gila Wilderness Area.